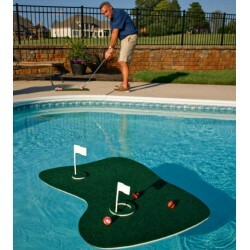 Your kids will have hours of fun with this unique floating game. 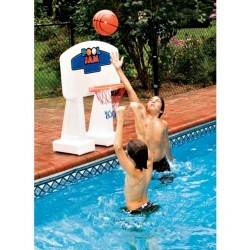 Giant 45" tall inflatable has great basketball action and multi ports for multiple shooters. Made of heavy gauge vinyl, Giant Shootball comes with 1 ball. Giant Shootball measures 36" W x 45" H.
Our new in-ground basketball game is economically priced, but has the features of top- quality games. 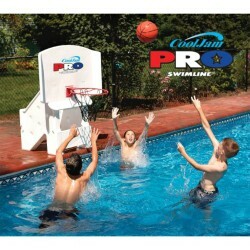 The set is made from tough hard-molded resin and a sturdy molded hoop to provide nonstop action. 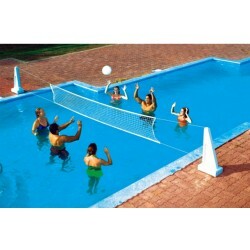 This great game combo combines your two favorite pool games - volleyball and basketball. 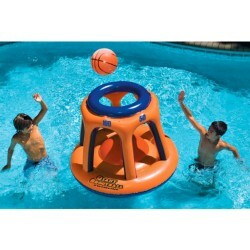 Both games feature Hardbody™ stands that will withstand the rigors of pool fun. The set includes two realistic game balls and both games are quick and easy to assemble. 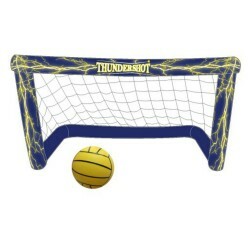 Deluxe Commercial Quality Basketball Game - Big, Rugged And Tons Of Fun!